There are many reasons for hair loss which include poor diet, underlying medical conditions like polycystic ovary syndrome (PCOS), Thyroid hormone imbalance, bad hair habits, and stress. Any kind of physical trauma including illness, accidents, and severe stress can result in temporary hair loss. Hair growth cycle has 3 distinct phases – growth phase, a rest phase which is followed by a shedding phase. Stress can disrupt the normal hair cycle. Worried that you are losing hair because of stress? If yes, explore Pankajakasthuri’s 100% natural products to stop hair fall. Visit our online Ayurvedic store. During pregnancy, your body undergoes hormone changes which often lead to hair loss. Pregnancy-related hair loss is often experienced after delivery. What’s the first thing you do after taking a shower? Do you aggressively towel dry your hair? When your hair is wet, it tends to expand, and as a result the cuticle moves up a bit. However, once it’s dry, it gets back to its original position. When your hair is wet (that’s when the cuticle is slightly lifted), it’s extremely vulnerable to things that come in touch with it (such as a dry towel). Also, change the way you dry your hair. Pat dry your hair instead of vigorously rubbing it. Yes, you heard it right. Wearing a hat is the easiest way to hide your hair loss, but it makes the condition worse. Any type of physical stress such as pulling and rubbing can result in hair breakage and fall. When you wear tight baseball cap or hat or tight helmets, it causes rubbing on the sides, back, and the front, which can cause hair fall. Following the right diet and getting the right nutrients is very important. Your body needs all the vital minerals and vitamins to keep your hair healthy. Food items like egg and dairy products ( cheese, yogurt, and milk ) are packed with important minerals and vitamins like Vitamin B12, biotin, omega 6 fatty acids, and zinc. Other food items you must include in your diet are oats, strawberries, walnuts, and almonds. You want your hair to look good; however, sometimes the tools that you use to get the perfect hairstyle cause hair fall. The hair styling gels, sprays, and heat styling tools damage your hair and hair cuticles. Most hair styling gels contain harmful chemicals, which when not properly cleaned while washing your hair can cause product build-up on the scalp. Wash your hair properly and try to simplify your hair regimen. 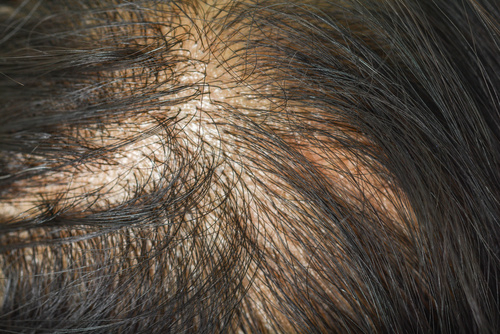 Fungal infection like ringworm when developed on scalp causes patches of hair loss. When the fungus gets into the hair fibers, the hair in the affected area becomes weak and brittle. It’s not uncommon to experience hair thinning and hair fall as you age. This is especially true when you enter your 50s or 60s. Even the experts aren’t sure why this happens. Women suffering from PCOS have an excess of androgens which may result in weight gain, ovarian cysts, irregular periods, and hair thinning. The ayurvedic medicines by Pankajakasthuri are prepared with herbs and other natural ingredients. These medicines prevent hair fall in the most natural way and don’t cause any side effects.